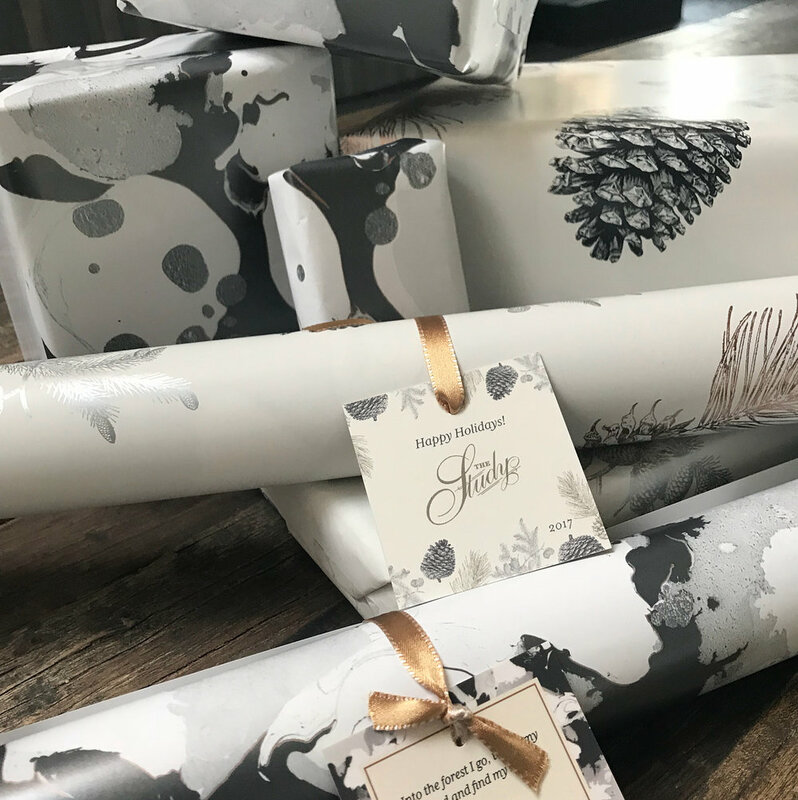 We worked on a collaboration with Westcoast Paper and Brown Printing for the 2017 holidays. When we begun the design, it was just after the fires ravished the Gorge. 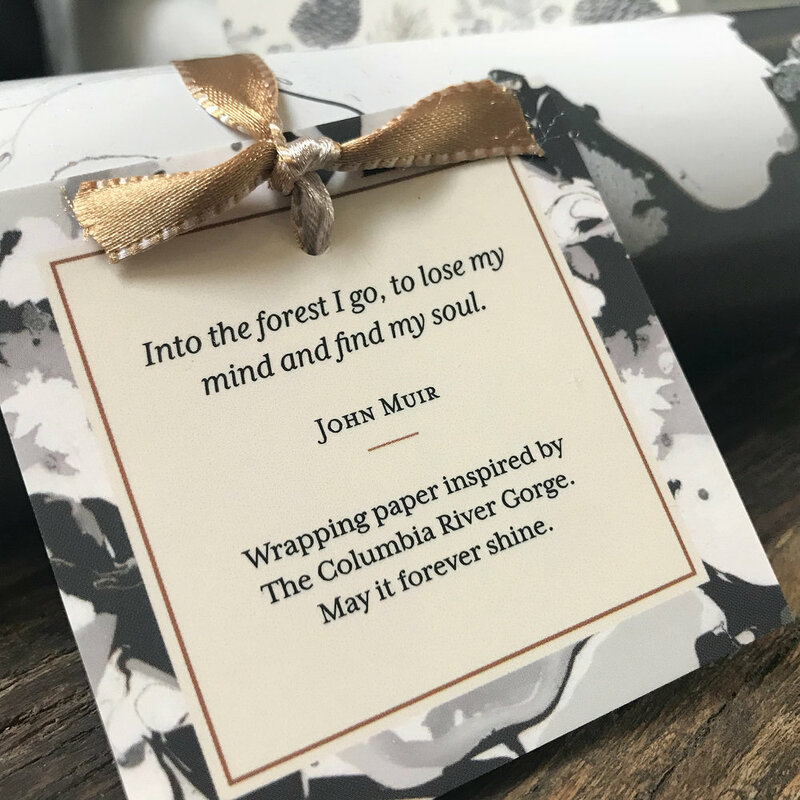 As a small gesture our paper designs were inspired by and a tribute to trails, rivers, and wildlife of the Columbia River Gorge. We sent the paper out as a holiday gift with a tag and quote by our favorite naturalist John Muir. 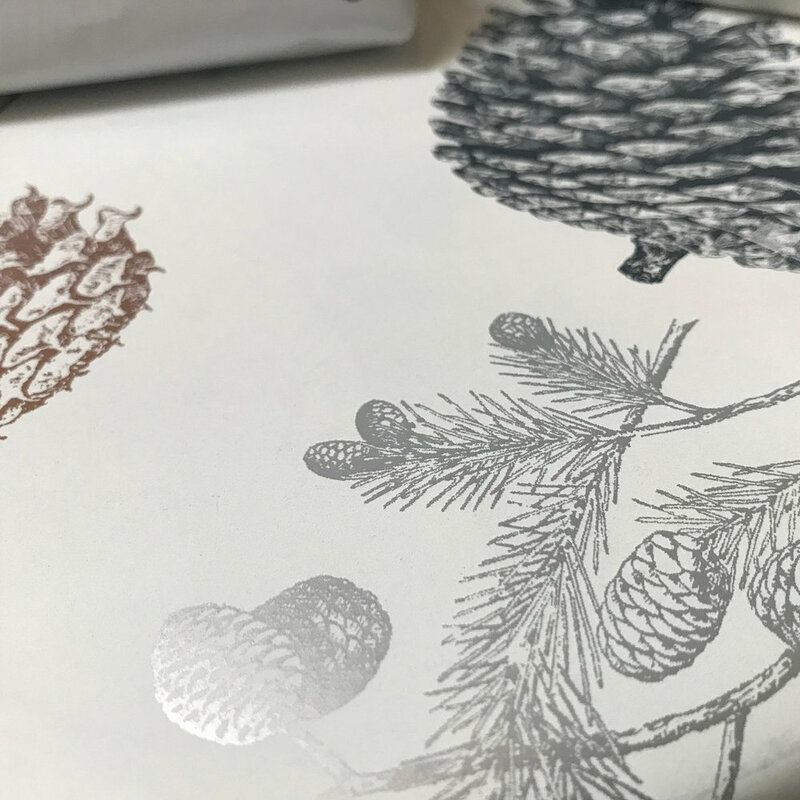 The paper was printed on a dull coated stock in silver and bronze with deep charcoal gray.